Beach pillow that can also be used as a bum bag with a strap to keep your towel in place. A day at the beach can be much more comfortable when you have a beach pillow with you. The most obvious choice is an inflatable beach pillow but Itsa went one step further when they created their beach pillows. 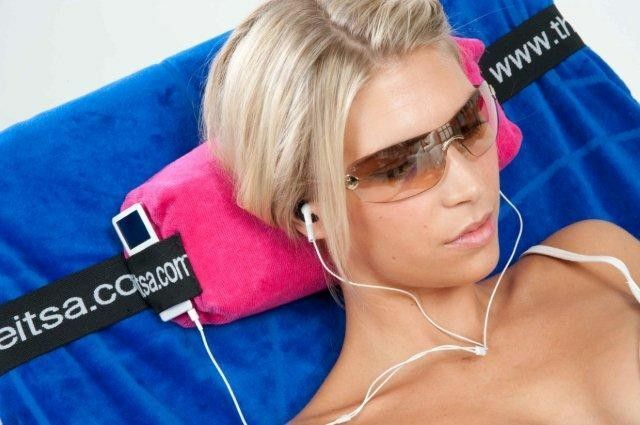 The Itsa beach pillow is also a towel strap. The attached straps can be used to hold your beach towel firmly in place so you don’t have to worry about it shifting and becoming uncomfortable. This product also serves as a fanny pack.